The culminating achievement of Eliot's poetic career. The four parts: "Burnt Norton","East Coker", "The Dry Salvages" and "Little Gidding" present a rigorous meditation upon those spiritual, philosophical and personal themes that preoccupied the author. 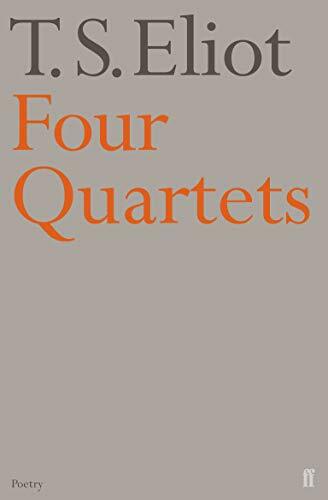 Published in the fiery days of World War II, Four Quartets stands as a testament to the power of poetry amid the chaos of the time. Let the words speak for themselves: "The dove descending breaks the air/With flame of incandescent terror/Of which the tongues declare/The only discharge from sin and error/The only hope, or the despair/Lies in the choice of pyre or pyre--/To be redeemed from fire by fire./Who then devised this torment?/Love/Love is the unfamiliar Name/Behind the hands that wave/The intolerable shirt of flame/Which human power cannot remove./We only live, only suspire/Consumed by either fire or fire." GlassFrogBooks Inc. is dedicated to providing customers with unrivaled customer service, a unique customer experience, and a wide range of great books at affordable prices.